External Counsel: Easy to Select and Manage? How to Evaluate Their Performance? External counsel play an important role to an organization, when engaged. The value of their contribution depends upon their experience and expertise. Therefore, selection of external counsel needs to be done carefully. Their engagement in itself is not enough. Once selected, constant interaction with them is necessary to evaluate their performance. In this article, an attempt has been made to articulate how external counsel can be employed to the utmost benefit of an organization. After working for over ten years in a large international law firm in the United States and another six years in an in-house capacity in Austria I have come to the conclusion that the team you create is the key to your success as a leader. No matter how smart, talented, driven or passionate you may be as a general counsel, the success of your legal department depends in a large part to a strong and motivated team that works well together in accomplishing the tasks and goals that come along. What Mistakes Should Law Firms Avoid in Order Not to Lose Clients? Selecting a law firm seems easy: For large transactions, you choose large international law firms. For less important cases, you may opt for smaller, specialized firms. However, assessing their work may be more difficult. Throughout my career I have worked at small legal departments (and by that I mean departments with fewer than five people – small at least by Greek standards). They have their own characteristics and challenges. In my experience, they tend to rely heavily on the advice of external counsel, who often becomes a true partner of the in-house attorneys. This reliance becomes more pronounced when in-house counsel has to manage tasks across different jurisdictions. In those cases, engaging external counsel becomes indispensable. 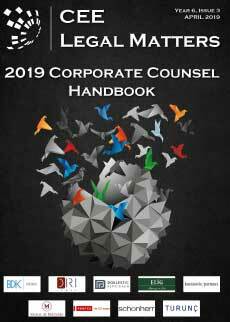 Nowadays, in many countries, the demand for legal outsourcing is increasing in response to the rapid development of certain business activities, and the necessity to hire an external consultant can arise in a company of any scale, status, and activity, whether an in-house lawyer is present or not. The process of selecting external counsels is quite a challenge to management of an-house legal department and poses unavoidable risks. It has an important effect on the department’s relations with its internal clients and with executive management team members. It is a pity that in some cases this picture may be explained as “The cobbler’s children have no shoes.” The risks inherent in selecting external counsel may in the worst case trigger the chief legal counsel’s professional liability and even directors and officer’s liability when not managed and regulated properly. Accordingly, it is essential to review the specific terms to be applied while selecting the External Counsels (ECs). It is essential to perform conflict checks, review the EC’s market expertise, and analyze the EC’s relation with public authorities when selecting an EC, as is setting out key performance indicators in legal services agreements. You load the picture from your recent gathering of friends on Facebook. Immediately, and by itself, the website defines all the persons who are in the photo: surnames, age, habits, personal life. Everything is in the social network. As it is widely known, the General Data Protection Regulation (216/679 (EU)) (GDPR) was announced on April 27, 2016 and will be applicable as of May 25, 2018. Simultaneously the 95/46 EC directive (the “Directive”) will be set aside. Although the GDPR’s main concepts and principles are much the same as those of the Directive and thus the national data protection acts, the GDPR does prescribe certain new obligations (such as the DPO, the right to data portability, etc.) and a much higher limit of fines, suggesting that privacy will be taken more seriously in the future. As personal data privacy is increasingly considered an important human right deserving protection, and with the new EU Data Protection Regulation to become enforceable in Romania as of May 25, 2018, it is becoming more and more important for corporations not only to observe the general data protection rules on commercial transactions but also to ensure full internal legal and technical compliance for all employees having access to any personal data processed internally. In a world where technological innovation grows so fast, a need to transform banking services from the classic model in which the client’s presence is required in the bank’s premises leads us to the new form of selling of the classic bank’s products. Is software eating the legal profession? “Software is eating the world,” observed entrepreneur and Hewlett Packard Enterprise Board member Marc Anderssen in his influential Wall Street Journal essay half a decade ago. Software’s appetite still seems insatiable as it continues to digitize bigger and bigger chunks of our analogue world. Hybrid cloud and edge computing, photonics and persistent memory, virtual and augmented reality, and artificial intelligence (AI) are the innovations that will harness the digital imprint of our reality for our benefit. The reasonable reduction of costs is deemed an obligatory tactic of doing business. In this paradigm, performance of legal work by program, instead of lawyers, is considered to be beneficial. Such an approach can be reasonable if the protection of the employer’s interests is guaranteed to stay at least at the same level. The methodology seems obvious: automation of legal work, use of online services and blockchain systems, and solutions based on artificial intellect.